Moving right along to today's outfit, which consists of two colors I typically think of and wear most during the winter and that's blue and grey. No matter the shade of the two, I just love the way they look together, creating a nice frosty vibe perfect for winter. Today I'm wearing a sweater I wish I would've worn sooner because it has since sold out and I can't find anything that's quite similar to suggest. It's a one size fits all, so you know what that means...it stretches a lot and conforms to the body and that's exactly what I need right now with my growing bump. Happy Wednesday, my beautiful friends! I hope you're all having a great week so far, I can't believe it's already Wednesday and that we've only got a week left of January, crazy! 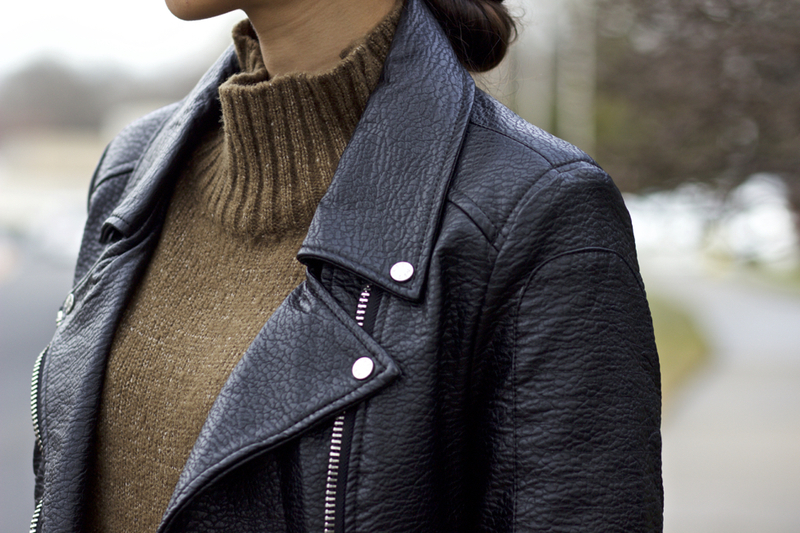 Today, I wanted to share with you an alternative jacket you can wear during the winter months, a leather jacket. 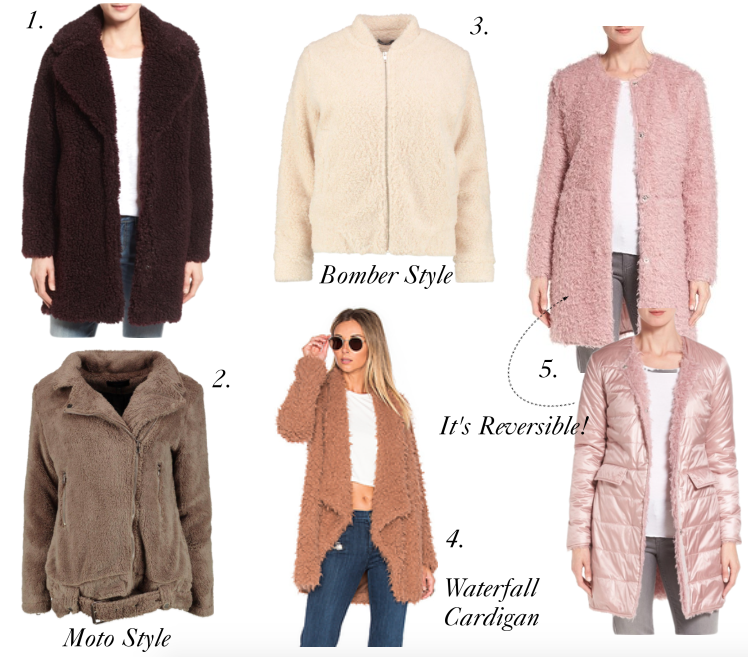 This may not be first style that would come to most people's minds when thinking of winter outerwear because they can often be a bit too light weight, especially if they're faux. This is not the case with the one I'm wearing today however. I purchased this jacket a couple of years ago from Dorothy Perkins' site, before I was used to European sizing and understanding the conversion charts, lol. How was your weekend?! I hope you all enjoyed it, though it always comes and goes way too fast, right?! 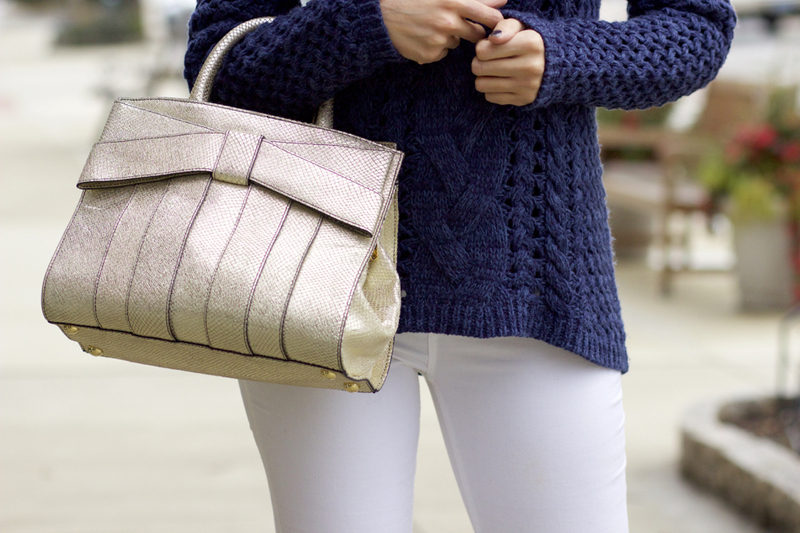 Today, I want to share a few tips on styling the hip area. As someone who is bottom curvy, I've learned what's worked and what hasn't and since my body is changing, I've noticed that certain features are becoming more exaggerated as a result. Now, I can either get frustrated and feel self-conscious about these changes or I can work around those areas by using specific styling strategies that will allow me to wear the pieces that still fit, I love, but that may not necessarily be the most flattering without some extra thought. I choose the latter and I encourage you do the same. Yesterday, Eddie and I had our 16wk check-up, these visits are always so exciting! At our last visit, we completely forgot to ask the technician doing the ultra sound to write the gender of the baby and place it in an envelope for our gender reveal party, which is on Feb.5th. So, we had them squeeze us in to do a little check and it's sooooo hard to resist the temptation of not tearing up that envelope to find out! My mom will be stopping by this weekend to pick up the envelope and bring it to a bakery for the cake. The filling will either be blue if it's a boy or pink if it's a girl and we're having everyone wear the color that they think it is! We're both guessing it's a boy based on the form of my stomach, but sometimes it has us second guessing. I want to preface by saying that when I took these photos, it was in high 50s, which is why I'm not bundled up a ton, though this would work on any other normal winter day under a coat. Since the start of winter, we've had a lot of discussions about outerewar and why mixing up and styling our coats is something to consider, as it's essentially our entire outfit. There's been a texture popping up a lot lately and it's called the the teddy. It's given the name because the fabric pretty much emulates that of a teddy bear, so it's super soft and smooth. Happy Monday, my dear friends! How was your weekend?! Mine was pretty relaxed because I still haven't gotten back my energy 100% yet. There are times when I get a sudden burst and I take full advantage of that by cleaning and doing other things I don't feel like doing these days, when I just don't have it in me. I also encountered my first challenge in getting dressed with the bump, particularly with the outfit I'm wearing today. I hope you've had a great week and are ready for some weekend fun! 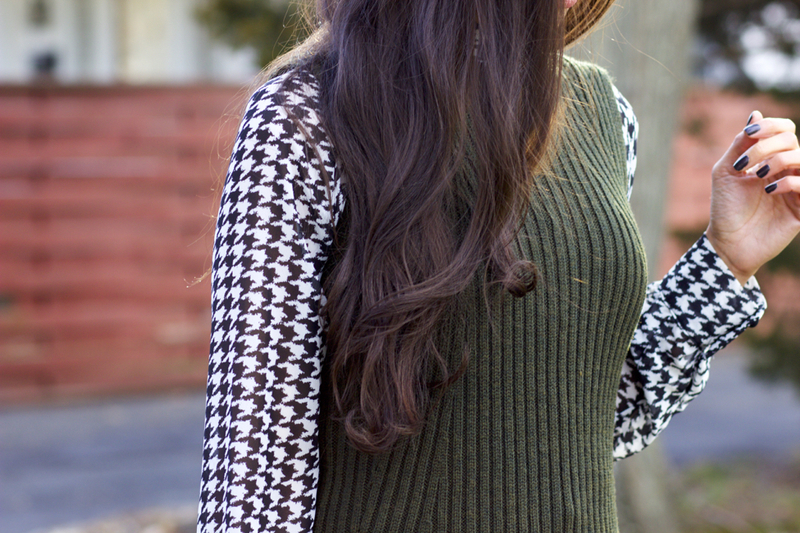 Today, we're talking about the sweater vest or sleeveless sweater and why I love it so much. I love it for a couple of reasons. 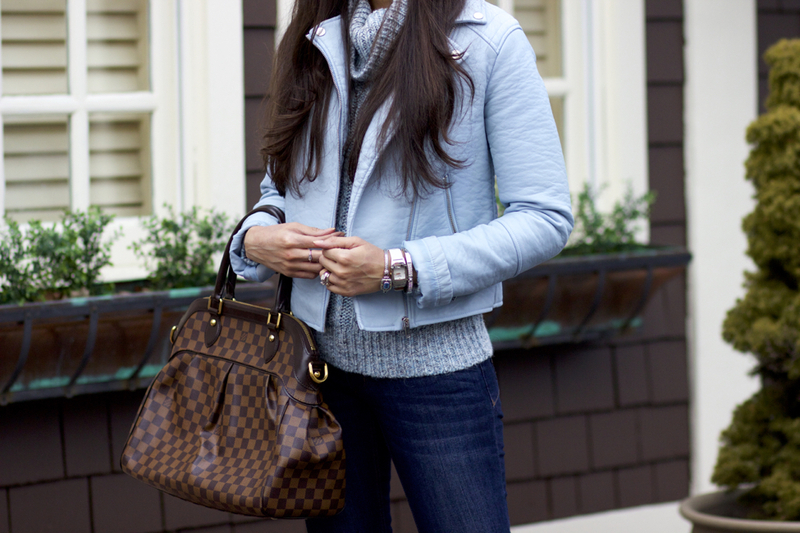 One of which is that it's such a great layering piece for both fall and winter. 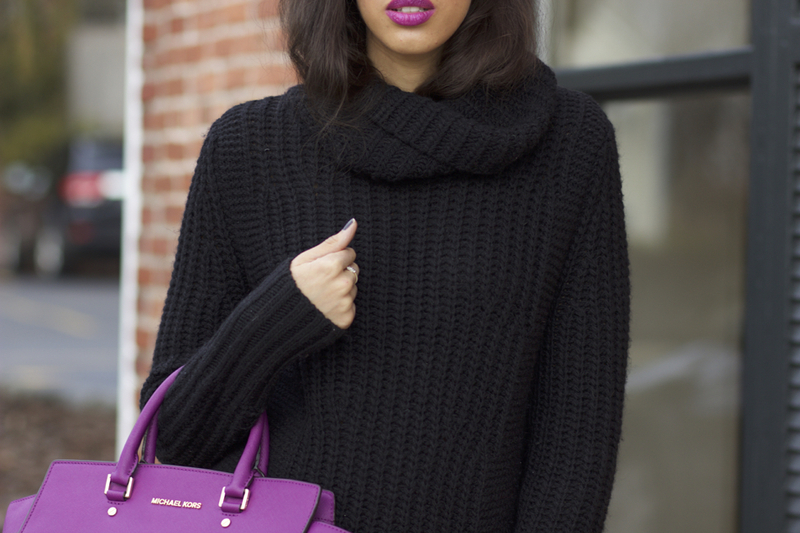 When it comes to neutrals and basics, the first color that will often come to mind is black and rightfully so, it goes perfectly with everything and can be worn all year long. There are other darker neutrals, however, that are starting to become more popular, an alternative to black if you will, specifically navy. 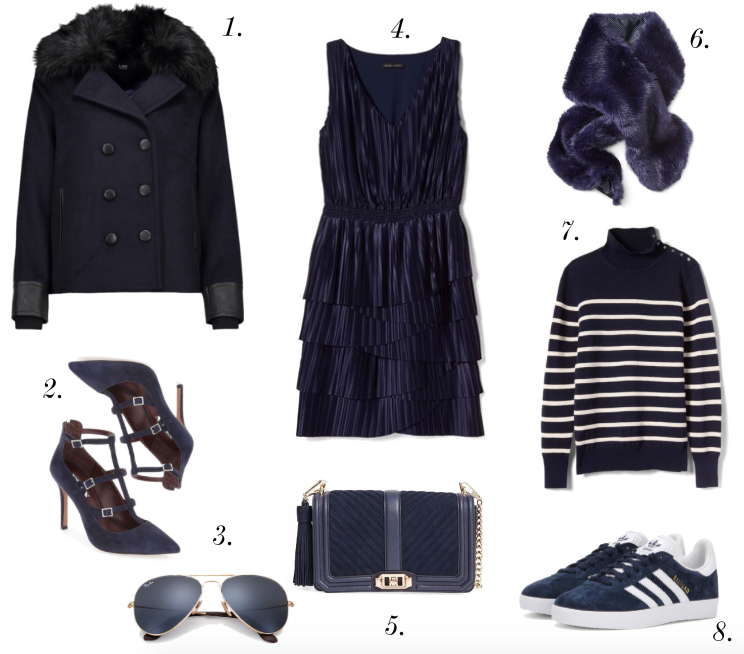 Like black, navy has a sophisticated vibe, in addition to a nautical effect, that reflects class and prestige, in my opinion. It may not be as entirely versatile as black, but it can often be swapped out in many of the color combinations you would typically consider black.